“Forever 21 Says It’s Not Just For Tweens” headlines the article by Racked. The buzz around Forever 21 lately is that they are moving towards a more sophisticated crowd. They are growing with the older millennials which has been featured in the Wall Street Journal two weeks ago. Just like Kanye West would say, “She rock Forever 21, but just turned thirty.” The brand is known for its fast fashion and the age range being in a tween level. Lately, I find myself cringing when someone asks, “Where did you get that from?” This is because I know my answer is Forever 21. Like many girls I lust over pieces I see on Zara, NastyGal, TopShop and ASOS, but then I always end up at Forever 21’s website. The reason being I can find a similar item for a much cheaper price. It is somewhat embarrassing that I still shop at Forever 21, so I am extremely excited that the brand is working on a more sophisticated reputation. The brand has been also working on quite a bit of product placement with celebrities. Jennifer Lopez was seen wearing Forever 21 culottes and Mila Kunis wearing a striped skirt states Racked. We’ll see if the transition is successful and if my cringing will come to an end. J. Crew has essentially been known for its classic pieces. Ever since Jenna Lyons had taken the position of Creative Director, the brand has been creating phenomenal trendy pieces. These trendy pieces have increased the prices of the brand. Although the pieces have been beautiful the J. Crew customers seem as though the classic and not as expensive pieces are what they are in need of. J. Crew’s less expensive factory line has plans to expand. The line is known as J. Crew Mercantile and features the classic pieces as the regular price point that the customers are use to. J. Crew Mercantile is expanding with stores starting in Texas so that there is more access to the line according to Who What Wear. The factory line is available online for those looking for that lower price point. Goodwill is definitely a gold mine for deals on vintage clothes. Sometimes you can find designer goods and sometimes more than likely not. The solution to this problem has been solved. 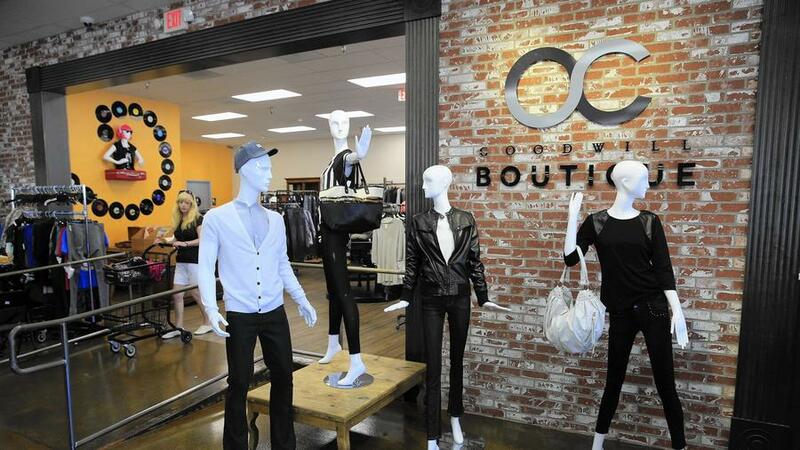 Goodwill is opening high end boutiques with exclusive designer labels according to the Los Angeles Times. The boutiques have been popping up across the United States in already 60 locations. The article quotes that the store has major finds such as Stuart Weitzman shoes for $13! Trust me I have tried on a $450 pair of Stuart Weitzmans on before and that price tag was like a stab in my heart. I can not wait to tour one of these boutiques for myself.